I have been offering courses on Udemy for about four years. When I signed up to teach, I opted out of the "kamikaze" marketing that just cheapens everything about online education. I won't ever be offering a "$200 course" for $10, or any course for 75% off, as Udemy has. (Most instructors participate in that marketing, btw.) Nor do I participate in affiliate marketing. I come from actual full-time college teaching (now retired). Big discounts insult the intelligence: if it's only worth $10, why are you listing it at $150? Furthermore, I don't like the idea of someone paying nearly full price for one of my courses, only to see others sign up for $10. I know that would annoy the heck out of me, if I were the student. But even I realize that "Black Friday" is the time for a big sale - my *only* sale of the year. Here's how it works. I have two deeper discounts than I normally offer. There are just four coupons at Level 1 (which is about 63% of the list price), and seven coupons at Level 2 (68-77%). When they're gone, they're gone, no more offered until next November. Any unused will turn off before the year ends. I offer them here first, and tomorrow I'll post them on my website and G+. So if you wait, the coupons might be used up. I have two courses that are listed for $20, because that's the minimum price Udemy allows, but I distribute free coupons for both. If you are one of the very few people - a handful out of 10,000+ - who pay for the course, within 30 days you can get a refund, and use the free coupons (below). 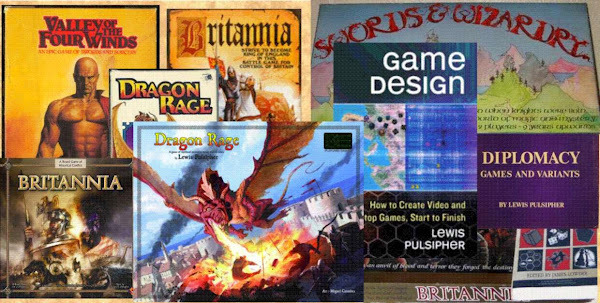 Free "Conceiving a New Game: Tips for Aspiring Designers". This is actually a compilation of some screencasts from my YouTube channel, rather than a formal class. This is just another way to make them available.